I'm sorry to be so hard on his ninth release, Reversal of Time, but my heart sank within a minute of putting the disc in the player, as McCabe immediately swung into a seriously faceless root→5th chord sequence (E down to B, for example), and things didn't improve from there. He actually describes his band/project as 'underground melodic rock' on his website, which is probably better than anything involving the word 'progressive'. And I haven't even mentioned the lyrics... McCabe's favourite subject matter seems to be affairs of the heart, as you can see from the titles above, which become somewhat dreary after a while, as it's all quite relentlessly down, but without any genuine musical darkness to go with it. Do I like anything about this album? Not really, no. Sorry. Anyway... The band are largely known (around here, anyway) as Mellotron sample users, but McCabe has assured me that this release features the Real Thing, hired in for the session and subsequently sampled for future use (grrr). I have to say that it isn't exactly overused, assuming it isn't providing the high-ish strings on a few tracks, with no more than a few low string chords scattered about here and there, unless that's flutes at the back of the mix on Like Shadows Again? In fact, I'm beginning to wonder whether McCabe accidentally gave me the wrong album title... The 'Mellotron' in Spinning Through The Years, for example, most certainly isn't, and I have to wonder about the other bits I thought I heard. 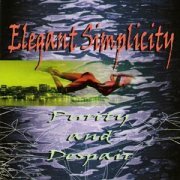 1998's Purity & Despair is McCabe's second and last album featuring (supposedly) real 'Tron. Well, it has one major advantage over its predecessor: it's instrumental. However, given that it's almost as long, with only five tracks, nearly everything on it is ludicrously over-extended and repetitious and not in a good way. There are a couple of nice ideas in Aching Desire, while the (relatively) brief closing title track at least injects a bit of energy into the proceedings, but this is, by and large, as dull as ditchwater and twice as murky. On the 'Tron front, there's a few string chords on all but the title track, plus various flute melodies (although most of the album's flutes sound like generic samples), strings and (eventually) choirs on Tranquility And Drift, the latter cutting the eight-second limit a little fine, as in, "Are they actually samples?". And what's with this Quantum Of Solace business, eh? Several years before the James Bond film, McCabe pulls a little-remembered Ian Fleming Bond story title out and uses it... Or is it a quote from something earlier? Am I showing my ignorance here? Elegant Simplicity are essentially Steven McCabe's solo project, described on his website as 'underground melodic rock', which is probably better than trying to claim any great progressive inclinations. His many albums seem to be much of a muchness, stylistically: unimaginative neo-prog/AOR, some with vocals, some (thankfully) without, although compositional quality varies from release to release. it varies particularly wildly on 1999's appalling Moments of Clarity, a dog of an album if ever there were one, non-featuring a primitive guitar sound and, frankly, terrible vocals. Its opening title track is about the least bad thing here, but A Life Alone is, essentially, an eight-minute AOR effort, while Out Of Reach, after ten interminable minutes, mostly of pointless soloing, grinds to a halt in a 'time to switch the sequencer off' kind of way. Just to cheer you up, the even longer Love, Loss & Desire pulls the same stunt, while Nature And Man 'features' some exceedingly sub-Dream Theater Scenes From a Memory-style sound effects. Are you beginning to get the picture? Samplotronically speaking, there are overt flutes on the title track and supporting string parts throughout, but they hardly compensate for the album's overall lack of quality. To be blunt, I'd say that moments of clarity were few and far between during the recording of this wretched mess. 2000's The Story of Our Lives is one of the 'withouts', consisting of the single, 48-minute title suite, McCabe being helped out by a bassist and a drummer, which makes me wonder how the drums ended up sounding so programmed. To be absolutely fair, the album features short bursts of really not bad (if, fittingly, a little simplistic) progressive rock, but the overall effect is of someone wildly over-reaching and mostly missing. Plenty of 'Tron samples, with strings, choirs and occasional flute on most parts, but nothing you can't live without. The following year's Palindrome (which always brings Monty Python to mind for me) starts excellently, although it (very) quickly slumps into the usual Elegant Simplicity rut, this time with somewhat unwelcome vocals. If only Mr McCabe could write a chord sequence I haven't heard a hundred (thousand?) times before, I might feel more charitable towards his works. Plenty of fakeotron strings this time round, though nothing much else in the Mellotronic line. Architect of Light (2002) is the kind of album that, had it been very heavily edited, might actually almost pass muster. Although opener Time To Breathe starts badly, it quickly shifts into a mutant fusion groove, albeit one in a rather clunky time signature, while A Crack In The Ice begins as a flute-and-fiddle-led folk/metal romp, before entering McCabe's usual sub-sub-Floyd slough of despond. This might have made a decent EP, but seventy bloody minutes of it is more than flesh and blood can bear. To add insult to injury, just when you think it's all over, a couple of minutes after the end of the last, interminable track, McCabe's voice suddenly appears out of nowhere, reiterating the first line on the album, for absolutely no readily apparent reason. Bewildering. Yes, it has occasional snatches of samplotron strings. After a two-year gap, 2004's Aquatorium is actually an odds'n'sods effort, much of it previously available on 1998's cassette-only Changing Views, containing demos, edits, outtakes and (God help us) extended versions, in case the originals weren't long enough. And the point is...? The disc's only especially notable features are one of those extended takes, McCabe's contribution to the first Colossus project, Ilmarinen's Bride Of Gold and near-twenty minute closer Solar Mass Music, which might actually be halfway decent had the terrible programmed drums been quietly binned. Soundwise, this really is one to avoid, the sampled slap bass on Inside The Dome being particularly bad, while I only hear that ol' samplotron on two or three tracks, all previously available in one form or another. His second album of that year, Anhedonia, has no distinguishing features whatsoever; this album is dull. Sorry to be so negative (what, me? ), but over an hour of uninspired, sub-Floyd nonsense is enough to drive one to drink, especially when reinforced over several albums. The sheer repetition displayed here indicates that McCabe has serious issues involving song structures, viz. he seems to have little talent for it; spot the particularly ropey unintentional discords on opener The Gateway. More samplotron than last time, but that's hardly a recommendation. 2005's Studies in Heartbreak, despite its whingearama title, is a minor step up for McCabe, with some genuinely nice guitar harmonies on Still Waiting, Still Wanting, while parts of Failures Of The Soul are actually (whisper it) not bad. As always, entirely excessive length and horrible drum programming drag the whole thing down, but this is probably his best to date. Samplotron on pretty much every track, mainly used with little subtlety, frankly. The following year's Nowhere Left to Turn carries on its predecessor's better work, sounding pretty decent in places (being all-instrumental helps), although excessive repetition, the usual horrible programmed drums and the sonorous pronouncements on the title track deny the album an extra half star. Samplotron strings on every track, plus flutes and choirs on the title track; one flute note actually has a very authentic 'warble', but given that it's exactly the same every time, I strongly suspect that it originates with the sampled machine. Unfortunately, McCabe's most recent work to date, 2007's Too Many Goodbyes, is something of a retrograde step, losing brownie points all round due variously to his insistence on singing again, the drippy Lost Summer, an ill-advised attempt at funk on Everytime I Think Of You... I think you get the picture. Less samplotron than before, not that I can seriously recommend this album in any way. After a lengthy gap, 2013's Unforgiving Mirror infuriates by giving the more adventurous listener hope that McCabe is about to do something interesting, only to see it dashed as he descends back into his default setting. Opener Unsettled is the album's best track, by dint of being an instrumental, while we get interesting, Enid-style fifth guitar harmonies on Feels Like A Lifetime, although Flurry seems to lack any obvious point and the title track and Passing Place are awful neo-prog, slashing anything up to a star from the overall rating. Samplotron-wise, we get muted strings on Un-Apology, with more of the same on the lengthy title track, plus flutes on the latter, for what it's worth, which isn't a lot. 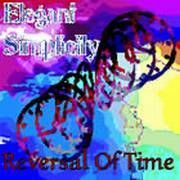 A compilation of Elegant Simplicity highlights, all-instrumental, re-recorded and rearranged might be a fairly decent listen. As it is, it's difficult to say anything very nice about any of McCabe's albums. Sorry. 'They have their moments' is about the best I can do.